Garden windows are a beautiful addition to a home that provide an ideal space to keep various herbs and house plants. These windows not only look impressive, but they also add value to your home and help you save money with increased heating & cooling efficiency. Our garden replacement windows are built with vinyl frames that form a strong seal to cut down on heat transfer and they also feature Low-E glass that reflects heat radiation from sunlight. 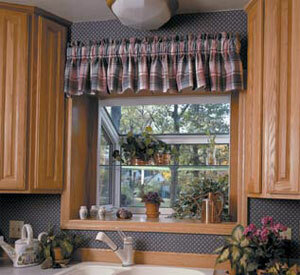 You will notice your energy bills go down with our replacement vinyl windows. Our garden replacement windows do not stop saving you money with your energy bills, they also increase your home value by fetching on average over a 60% return on the initial cost. Learn more about garden window replacement money saving advantages and cost vs value by clicking these links.